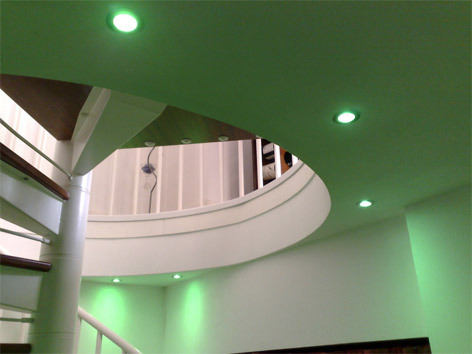 A selection of colour changing spotlights to illuminate the hallway of a residential property. A eye catching talking point for any home. I call this the mood changer. Whatever mood you are in after a long days work with the press of a button you can set the ambient to match with the aid of RGB Controls you can also link it to your TV remote control!! !